Only a quarter of employers are certain they will still be offering company-sponsored health insurance a decade from now. That’s down from 38 percent in 2010 and 73 percent in 2007, according to a survey by Towers Watson and the National Business Group on Health. Blame – or credit, depending on your viewpoint – the changes set in motion by the Patient Protection and Affordable Care Act, which, it appears, will lead to a company benefits philosophy straight out of the 1950s. If the projections hold, by 2024 or so, employers will once more pay people to work and workers will have assumed responsibility for their own health care costs. The survey of 595 corporate executives echoes what many insurance experts have been predicting: that Corporate America will be exiting the health care business. More than 600,000 employees and dependents enrolled in health plans via Aon Hewitt’s exchange during the 2014 enrollment period last. The most likely scenario to be derived from this survey – and others concerning employee health – is that companies will mostly simply host wellness plans that encourage health lifestyles. They may even offer assistance in choosing a health carrier. But they will no longer manage employee health insurance. 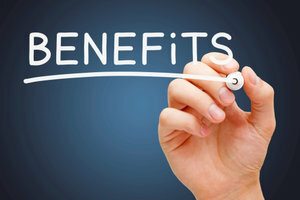 Commenting on the three-quarters of respondents who said they would likely not offer coverage 10 years hence, Randall Abbott, senior health-care consultant at benefits advisory firm Towers Watson, called the response the highest degree of uncertainty registered by any of the benefits surveys. “That is very much a function of the uncertainty swirling around in the health-care landscape right now,” said Abbott. Playing an especially critical role is the PPACA’s so-called Cadillac tax which, when it kicks in next year, will trigger a 40 percent excise tax on plans in excess of $10,200 for an individual and $27,500 for a family. Administrative costs of implementation loom large as well. Towers Watson estimates that nearly two-thirds of employers will be faced with the tax starting in four years. Yet when asked about the most significant factors driving their benefits strategies, the PPACA dropped from 57 percent last year to 40 percent this year as the No. 1 driver. Meanwhile, 32 percent of respondents cited business performance and the economy as the top drivers, up from 21 percent just a year ago. In other words, implementing the requirements of the PPACA is becoming less of a concern while calibrating plans based on economic forecasting is growing in importance. Much of this shift, the survey indicated, comes from a gradual acceptance that public and private exchanges can relieve businesses of the responsibility to provide health insurance to employees. Companies believe their employees will now have options, thanks to the PPACA, that will give them low-cost, decent coverage, so that offering coverage will no longer be considered a recruiting or retention tool. Health coverage will not be seen as something companies need to do as part of a successful business strategy. In fact, divesting themselves of the burden of health coverage will be seen as a component of a successful business strategy. The survey demonstrated that many employers are just waiting for evidence that the exchanges will be viable so that they can, in good conscience, finally withdraw from the health insurance business and focus on the bottom line. In fact, fully 67 percent of respondents suspect that the exchanges will have proven themselves by as early as next year. The 71 percent who said they want proof of exchange viability may have received some assurance earlier this week. Aon Hewitt, which operates a private exchange, reported results of its post-enrollment survey. It found that not only were individuals with exchange coverage satisfied with it, but that the coverage was 1 to 2 percent cheaper than companies would have paid in a traditional coverage scenario. While this is early data based on a small sample, it’s what employers say they are looking for. Analysts have predicted that by 2018 enrollment on the private exchanges will be even higher than enrollment on the public Obamacare exchanges.